CONGRATULATIONS to our Freestyle Academy 2008-2009 Junior student teams below. 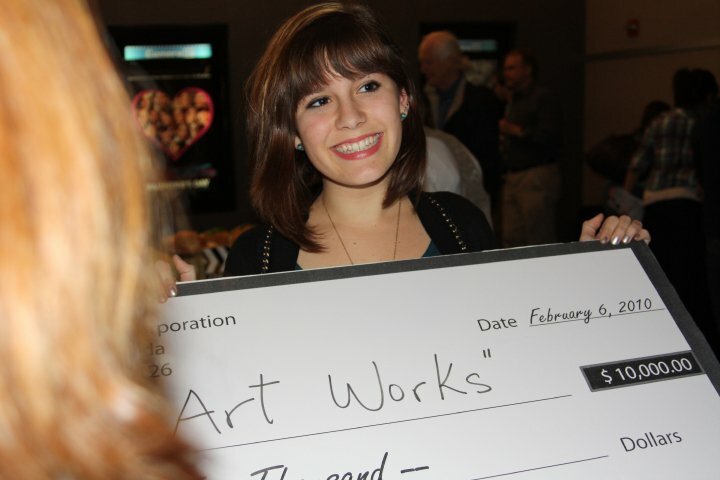 Films were judged by an expert panel, and "Art Works" received $10,000 that was distributed among the designated non-profit profiled in the documentary Imagine Bus Project, Freestyle Academy, and the filmmaker(s) themselvesNatalie/Emily in the form of a cash scholarship. Congratulations to Natalie, Emily, Juliana and Natalie!!! Please visit https://www.sidocfest.com for more details. Please contact info@dogooddocs.com with any questions. 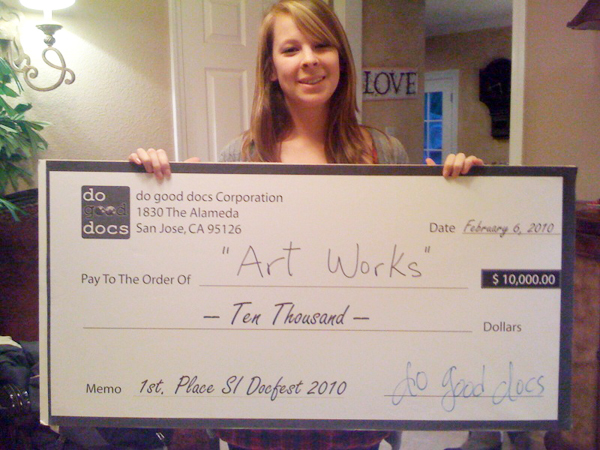 In 2009, Freestyle Academy 2007-2008 Senior Margaret Lewis won 2nd Place at this same SI Doc Fest in 2009 which received $5000 again distributed among the designated non-profit profiled in the documentary, the school represented by the winning filmmaker(s), and the filmmaker(s) themselves (in the form of a cash scholarship.). See her film here. Thanks again for your support of SI DocFest 2010.